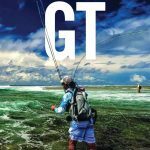 Freshwater GTs? Juvis? No, fully grown! This was end of what sounded like a florally ludicrous conversation between two chaps I was fishing with. It was a long time ago, the fishing was good that day so I never again considered the statement. Until recently that is, when a friend sent me a video clip of trevallies swimming around a freshwater fish tank. He’s a keen fisherman but a serious tank aficionado! I get some really cool clips from Chase once in awhile but this was rad. And it sparked the memory that brought back that conversation on a fishing trip about freshwater giant trevally. So I waded into trusty Google to find some answers. Turns out that most trevally can be ‘converted’ to freshwater and are readily available on sale the in world of exotic fish trading. Although I’m nervous to consider what the diet of tank bred GT would be be! The trusty interweb abounded with stories of brassies, bigeyes, goldens and even small Geets living happily in freshwater tanks all over the world. Clearly this is a place that is unbelievably unique in terms of bioverse history. There are a variety of saline species that have adapted to freshwater life and the area is steeped in an obscured history that goes beyond the time of the Spanish colonies. I searched long and hard to find photos of the actual fish but the interwebs wasn’t very forthcoming. 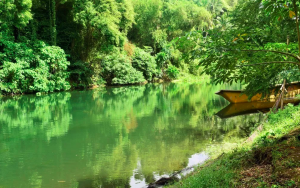 There were, however, many posts and articles that referred to the lake GT – the maliputo loob – and in particular an interesting research paper, published in The Journal of Nature Studies** that shed a bit more light on the now mythical (at least in my mind) freshwater GT. It would appear that the ‘true’ Maliputo – which is actually referred to as Maliputo loob*** – is catadromous (opposite to anadromous in that it travels to salt water for reproductive purposes before heading back to the lake). The fish swim down the now open Pansipit River and spawn in the estuary area. And unlike its salty cousins, it doesn’t seem to get very big. Unfortunately today it seems that, like in so many other stories of the wild and amazing, the Maliputo is under severe pressure. 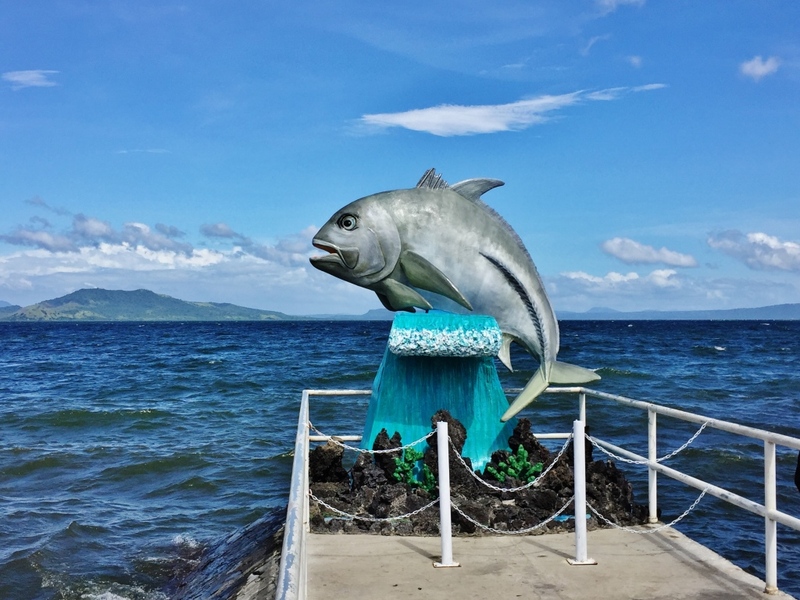 It is a prized delicacy and features on menus across the lakeside town of San Nicolas and greater area of Lake Taal. This resulting in heavy fishing and netting practices in the Pansipit River that target the migrating spawners. But this is hope too. 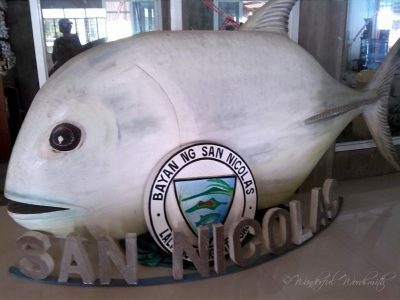 There is mention that a breeding program in the barrio of Botong has successfully bred Maliputo in captivity. And another positive point is that it sounds like the netting practices in the Pansipit have also been stopped by authorities in a move to conserve this unique ecosystem! *** Maliputo referes to GT. 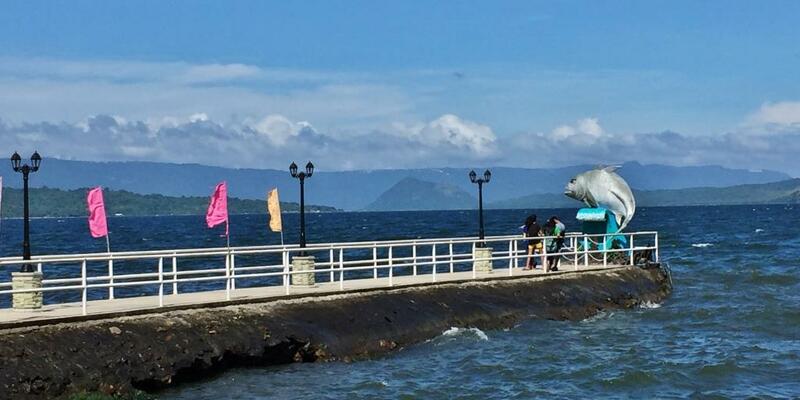 loob means from the inside (inside the lake), while labas means from the outside (the sea).